"With so many Puritans to choose from, why turn the spotlight on Richard Baxter?" 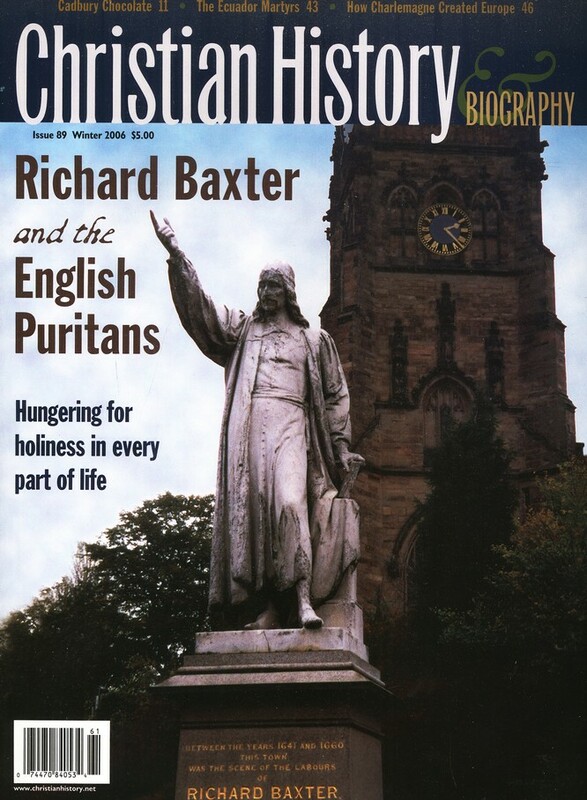 Many reasons: Baxter lived through so much of the Puritan era-from 1616 to 1691. He wrote what by many standards is the best record of it, from a personal standpoint, in his autobiography. He was one of the top Puritan leaders of his day, the most successful Puritan pastor, and the most prolific Puritan writer. From Baxter it is not a far leap into the wide spectrum of opinions, personalities, and experiences that make up English Puritanism as a whole, including one of its abiding characteristics: the belief that all real theology is practical theology. The Puritans were certainly not without their faults, but as Dr. J.I. Packer told us, in all of their diversity and adversity, their triumphs and setbacks, two very deep concerns emerge: how to be holy and how to be human.